South Side - Fire House 14 - 1716 Parsons Avenue - Available Now - This retired Fire House is soon to be listed on the local historic register. The open floor plan, historic details, and location in what has become one of Columbus' up and coming areas, equal many opportunities for the right business if you have the vision. 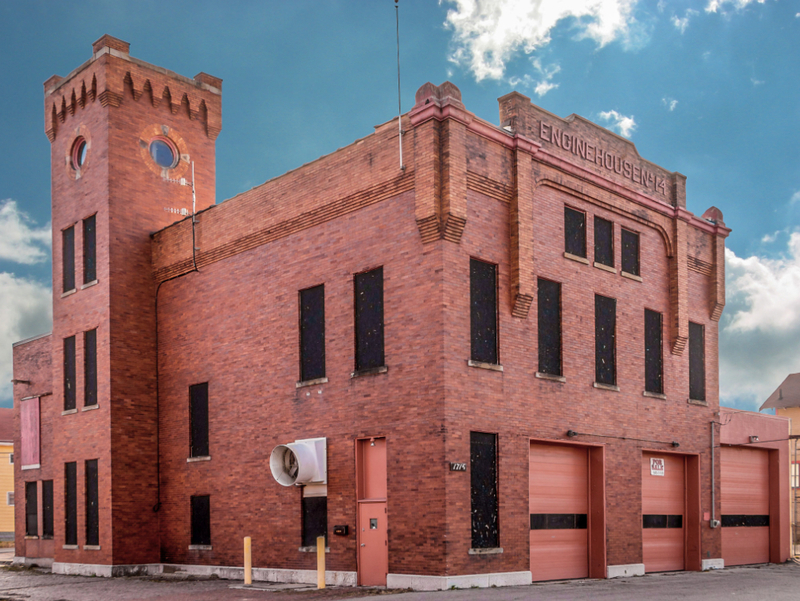 Call or email to discuss the many options for this unique building, such as a Brewery, Restaurant or Event Space. Check the link below for further details. Please call (614) 444-2100, or use the contact link below for a showing or further information. Merion Village/German Village Area - 1297 Parsons Avenue - Bar/Restaurant for Lease Located on the Southwest corner of Parsons and E. Gates. Just under 3000 square foot building that includes bar area with stool seating, area for table seating, small stage and commercial kitchen with exhaust hood. Grass and gravel lot to the North of the building also included. Potential additional adjoining space including single family house and garden also for lease at additional cost. Full liquor license available. $3000/month plus utilities. For more information please call (614) 444-2100 or use the contact link below. Please check back for future listings. Have a property in this area you'd like to advertise? Contact us here. German Village Area/ Schumacher Place - 535 E. Whittier Street - Movements of Qi - A Wellness Collective has three rooms available for lease. This is the perfect location for your small business. You maintain complete control of your own business but have the benefit of working out of a location with support for small business including reception/waiting area, laundry facilities for work related linens, kitchenette and restrooms. The building is part of the new Eisen Development that has brought revitalization to the corner of Whittier and Parsons Avenue. Located just south of downtown, close to Children's Hospital, German Village, Merion Village, and Schumacher Place. Facility is ADA compliant. There is also an additional large space that is available at an hourly rate for classes or other group settings. We are looking for business to complement the existing tenants (wellness practitioners of alternative and integrated modalities) This space is a perfect opportunity for massage therapy, meditation, reiki, sound therapy, polarity, hypnotherapy, reflexology, or nutritional therapy however we are open to other options which may be a good fit. Rent $450-$650/month. Contact us to schedule a walk through or for more information (614) 859-5352 or use the link below. Clintonville - 3478 N. High Street - Available Now - Office space for lease, 1400 square feet. Beautiful space with hardwood floors, French doors, custom built shelving for display or storage. Lots of natural light and separate private offices, private bathroom as well. Three dedicated parking spaces in the private 11-space parking lot. Direct entrance to the lot from Oakland Park Avenue. Rent is $2100/month, all utilities are included, minimum 24-month lease. For more information or to schedule a showing please call (614) 263-5544 or use the contact link below. To see all of our available rental properties please visit Clintonville Apartments. Pickerington - 17 W. Columbus Street - Available Now - Small renovated office located in Olde Pickerington on Columbus Street. Approximately 500 square feet includes 3 private offices, private bathroom, hospitality area, high efficiency gas furnace and central air conditioning. Private entry to this suite is either through the side courtyard or at the back of the building off our parking lot. Reserved off-street parking. $595/month plus utilities. Call (614)444-2100 or use the contact link below.